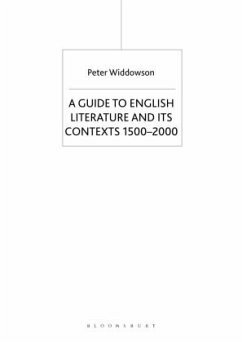 PETER WIDDOWSON was one time Professor of English at the University of Gloucestershire. He was a well-known critic whose publications for students include A Readers' Guide to Contemporary Literary Theory (with Peter Brooker, Longman, 1997), Literature (Routledge, 1999) and Graham Swift (Northcote House, 2004). 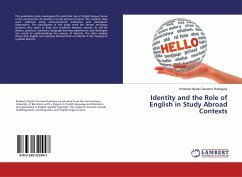 Brief Contents.- Detailed Contents.- Acknowledgements.- Introduction: Premises and Procedures.- How to Use the Book.- Abbreviations Used Throughout.- 1500-1649: The English Reformation and Renaissance.- 1650-1699: Commonwealth and Restoration.- 1700-1789: The Augustan Period.- 1790-1829: The Romantic Period.- 1830-1899: The Victorian Period.- 1900-1939: World War I and the Modernist Period.- 1940-1959: World War II and the Post-War Period.- 1960-1979: The Nineteen-Sixties and Seventies.- 1980-2000: The Contemporary Period.- Works Used for Reference.- Alphabetical Index of British Authors. 1649: The English Reformation and Renaissance. 1939: World War I and the Modernist Period. Alphabetical Index of British Authors.